You can ignore the image. Light hadn’t been invented yet. Perhaps the greatest understatement, serenely floating around in the nothingness (that was before space was invented) is the term ‘Big Bang’. Nothing comes close to describing what happened in that first second, not atomic weapons, not exploding stars, not even supernovae. The first Planck after ignition (a Planck is like a fraction of a second but only much smaller, a billion, billionth etc.) was too hot to have nuclear forces or even gravity. (That’s 0.000,000,000,000,000,000,000,000,000,000,000,000,000,000,01th of a second if you’re interested). As Einstein explained nothing travels faster than the speed of light, but during this briefest of periods before the second Planck (I’ll skip the zeros but there are about 32 of them) we had space inflation which did just that. Perhaps it was because there was no light yet. It was so fast, the forces blasted out were moved apart more by the expanding space than by the explosion and none of that fits with what scientists already know. Particles popped into existence by the collisions of energy particles (which have no mass or ‘weight’) into bosons which converted the energy into a particle which actually has mass. (Remember Einstein famously proved that energy and mass are the same, as is E=Mc2). 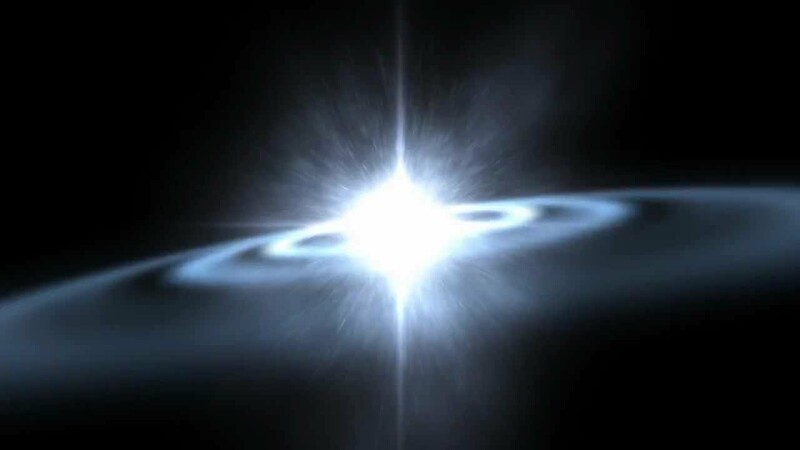 There was no ‘something from nothing’ at least from the point where the ‘bang’ occurred as there was definitely a lot of energy (another understatement) so by default there was mass as they are the same thing. From this point on, the ‘bang’ part continued in a more prim and proper manner, ending the ‘impossible’ phase that obviously will be tested and proved eventually, but from here, the explosion was more the way we understand things behave. The rapidly expanding universe was full of what is described as ‘a quark-gluon plasma’ which sounds unpleasant and smelly but I have on good authority, was a good thing. When three quarks get together (facilitated by the strong nuclear force which by now had also broken into a trot) for a ménage à trois’, the result is a proton or a neutron and as you know if you throw in an electron, you end up with an atom. 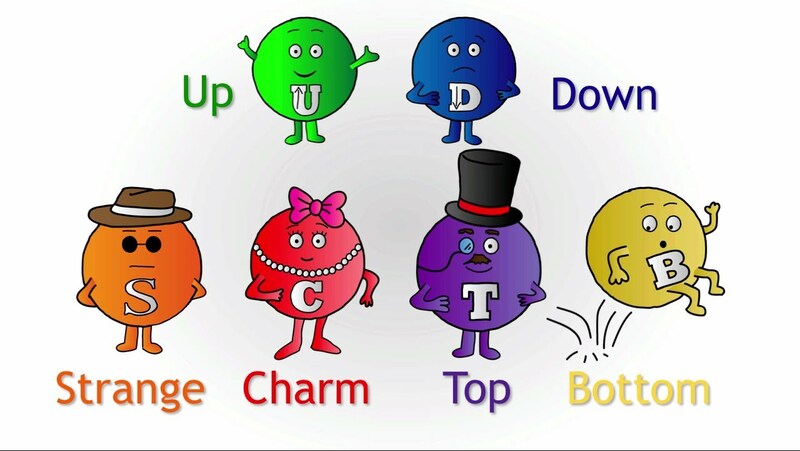 There are six types of quarks with some strange names and they come in colours (who knew?) and you need three different colours to make a proton. Quarks also identify as ‘up quarks’ and ‘down quarks’ and to get the tri-colour proton, you need two ‘ups’ and one ‘down’. Electrons, by the way, are quarks that don’t go in for that sort of thing and go solo. A bit prissy by all accounts. By the time we get to 0.000,006th of the first second, positively dawdling along, we’re got the full Monty of forces, gravity, the strong nuclear force, the weak nuclear force and electromagnetism but it is still too hot for the quarks to have their love-ins. For this we have to wait until the first second has fully passed and the temperature a little more temperate. Now the quarks go at it like rabbits and the universe starts to fill up with protons and neutrons, anti-protons and anti-neutrons. The protons and anti-protons are more common than the neutrons and anti-neutrons but the balance of each is the same. Almost. They all get along fine until the temperature drops. By the time 10 seconds or so has passed, we’ve got our first war and the pros and the antis cancel each other out. Well almost. For reasons yet to be explained, slightly more protons and neutrons were produced than anti-protons and anti-neutrons. After the big cancellation event, only they survived. The surviving protons and neutrons get together in different ratios making different atoms but the temperature is so high, we have nuclear fire everywhere and some of the combinations fuse into helium. Unbelievable to non-scientists, the temperature was actually falling and by the time 17 minutes had elapsed, the fire was out. All the neutrons were now fused into helium leaving a lot of disconsolate protons who didn’t even have an electron for company at that stage and are identified as hydrogen ions, that is, protons without an electron. To us mere mortals, the word proton and hydrogen are essentially the same thing. There are variations on the theme but isotopes devolve into complexity we don’t need to understand on the first page in our diary (or any other page for that matter). From 20 seconds to 380,000,000 years (that’s 380 million years) may seem a bit of a jump to us with our mini time scales but for the universe it wasn’t even late morning when the hydrogen ions and the helium ions begin to capture electrons to become stable, electrically charged neutral atoms. Energy was turning into solid matter at last. Unlike the electrons that joined the atom club, their cousins the neutrinos maintained their gypsy ways and as they have no mass, some are probably streaming through your body as we speak. Another wanderer is the photon, particles we are more familiar with as light. They interact with the protons and neutrons but as the protons and neutrons coalesce into atoms, space becomes clear for the first time and photons of light can travel everywhere. They waste no time doing it. Quickly. With the atoms settling into their new home and 380 million years to get their act together, they set about making babies, the first molecule.